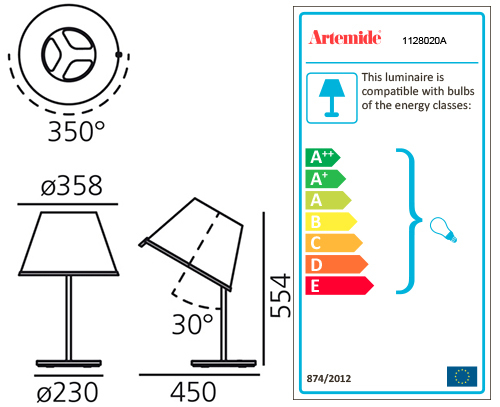 ARTEMIDE CHOOSE TABLE is a lamp. Base in zamac, grey painted metal structure, adjustable diffuser in transparent polycarbonate, joined with parchment paper. The diffuser tilts 30° and rotates 350° on its axis. Bulb not included, 1x57W Halo o 1x8W LED (E27).